Trumpeter Jonathan Finlayson’s 3 Times Round is his first release since the widely-lauded Moving Still, which was named one of the top albums of 2016 by the New York Times and the best release of the year by PopMatters, who called it “clean and cool while still ripping with adventure.” Among the most admired young musicians on the scene, Finlayson is the first-call of innovative musicians seeking a trumpeter who is able to negotiate the most complex musical material yet still bring his own sense of individuality and verve. These includes a stunning list of cutting-edge artist such as Henry Threadgill, Muhal Richard Abrams, Steve Lehman, Mary Halvorson and, of course, Steve Coleman, with whom Finlayson has played with for the last 18 years. 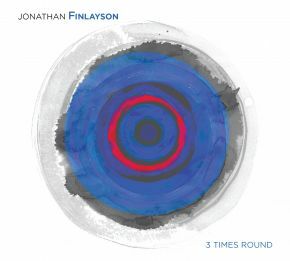 Unlike on his past releases where he is the only horn, on 3 Times Round Finlayson is joined by Lehman and tenor saxophonist Brian Settles, and his compositions blends their intertwining parts with fluidity and grace. The inventive pieces leave plenty of room to showcase each musician’s distinctive musical personalities, yet still convey an overarching sense of narrative mystery. It’s another purposeful step forward for a young artist on the rise.